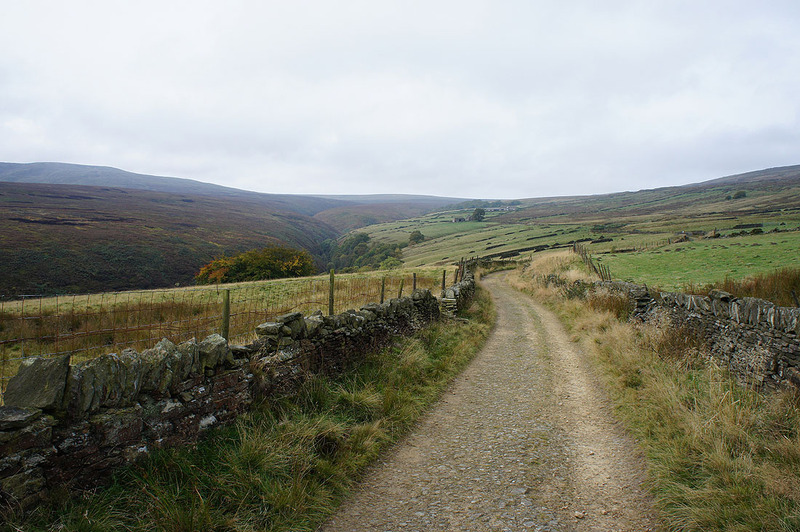 There are still some bits of the Peak District that I have yet to visit and this northeastern corner around Holmfirth and the Holme Valley is one of them, along with the moorland summits of Black Hill and Bleaklow. I must admit that I haven't been looking forward to acquainting myself with them. 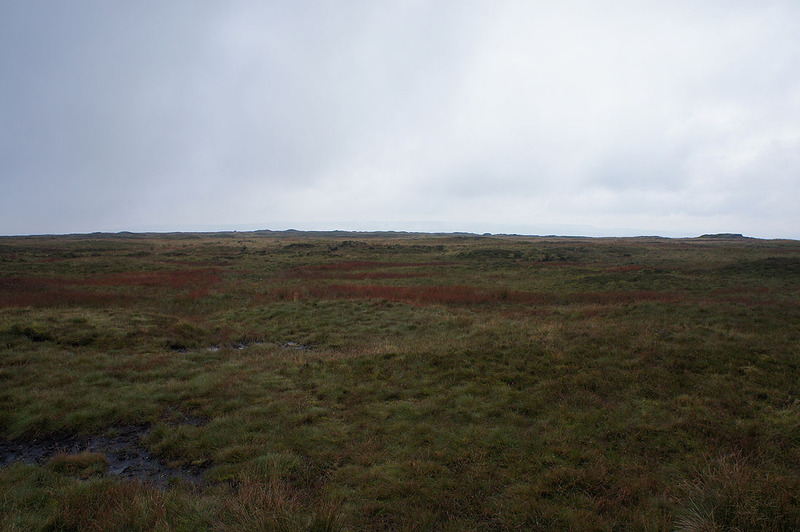 They have a reputation, one of being featureless wastes of peat and bog. 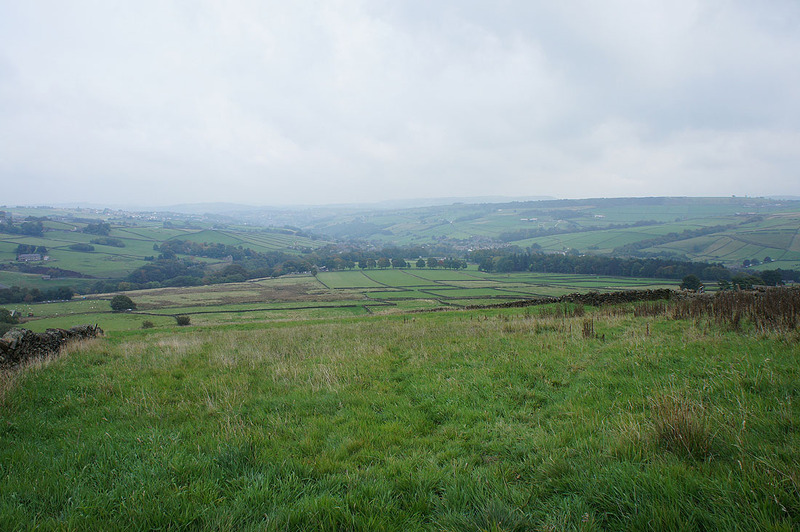 What was Black Hill like? Just what I expected. 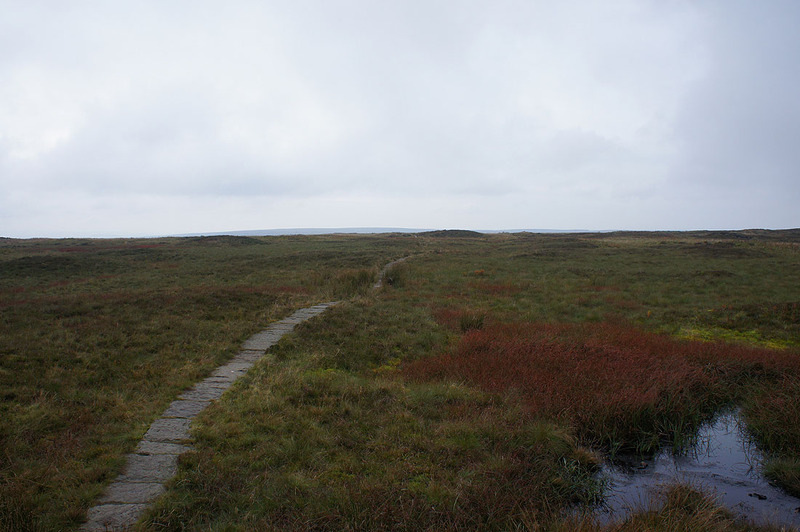 There's no view to speak of, the summit is so flat that all you can see is the moorland surrounding it and todays rather gloomy weather didn't help the mood. 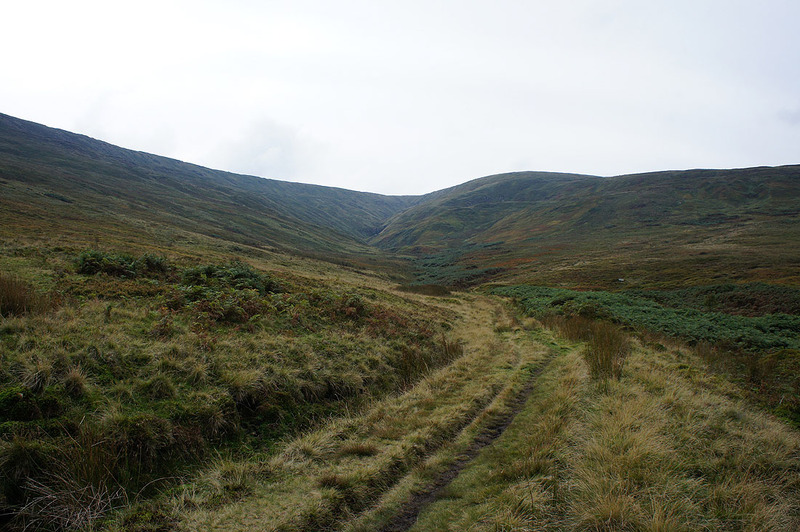 At least it was good to see how the moorland has recovered following the recent restoration and that Black Hill is now something of a misnomer. 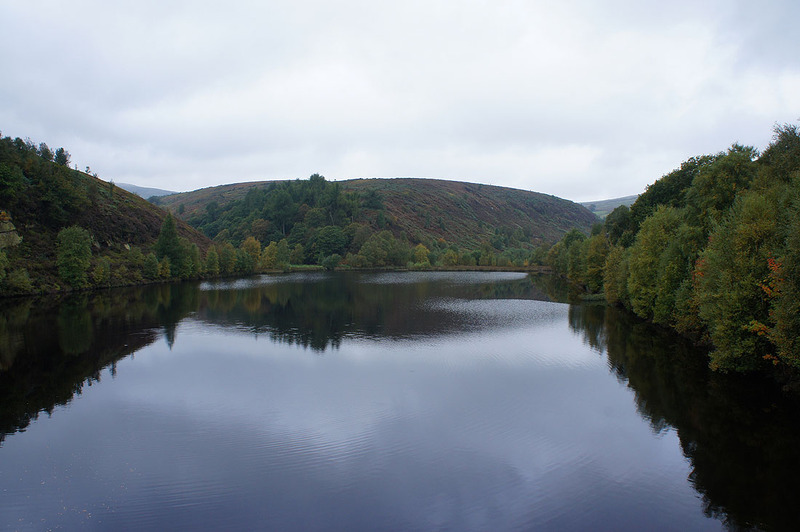 Because of the weather (that's my excuse) I ended up changing my route. 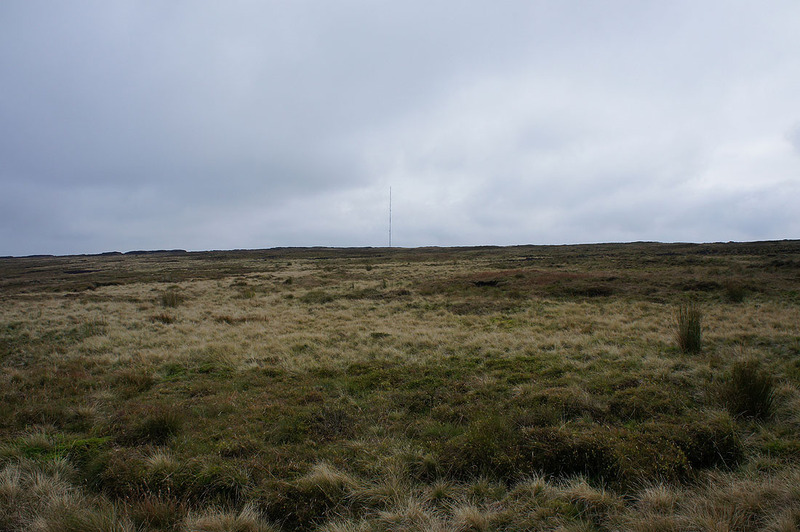 I had planned to cross Holme Moss from Black Hill to the transmitter then follow the moorland edge to Ramsden Clough. 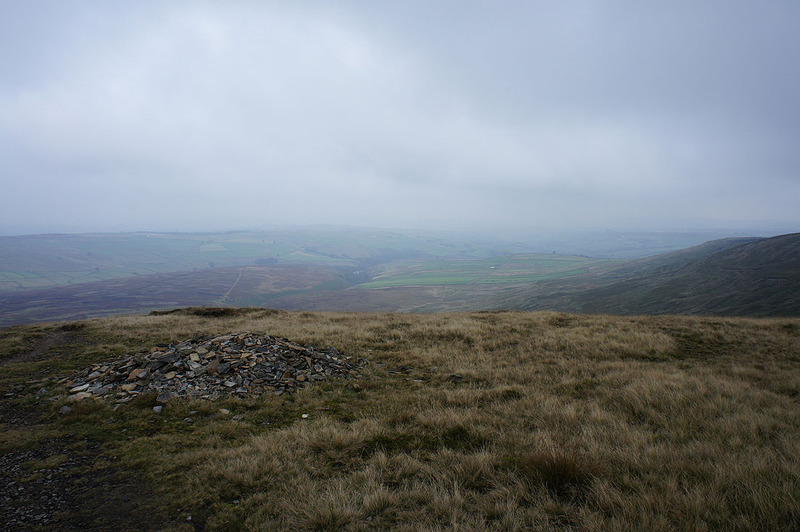 As I reached the top of Black Hill the thought of doing that became distinctly unappealing. 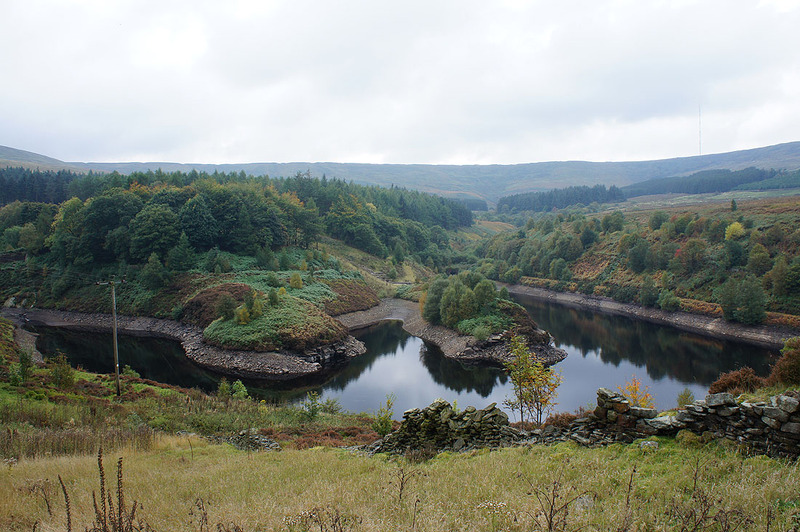 I still got to see a bit of Ramsden Clough though as I payed the reservoirs in that valley a visit later in the day. 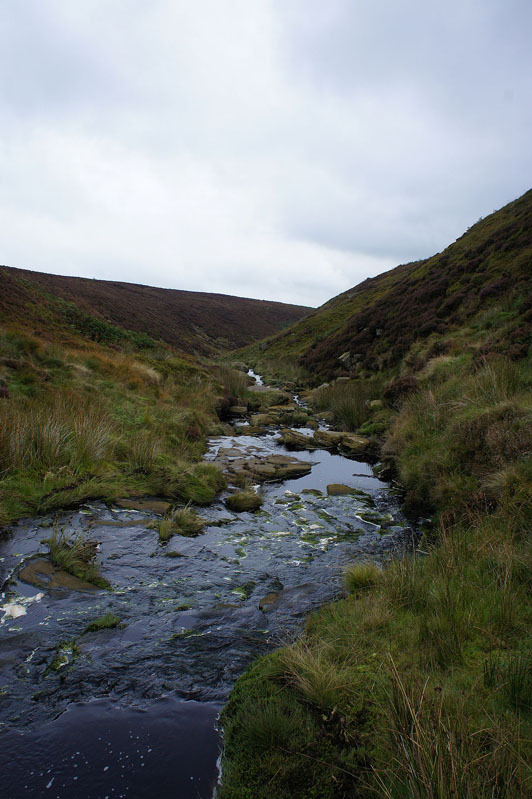 Hopefully I'll be back in the Holme Valley in the near future and I'll get to know Ramsden Clough better. 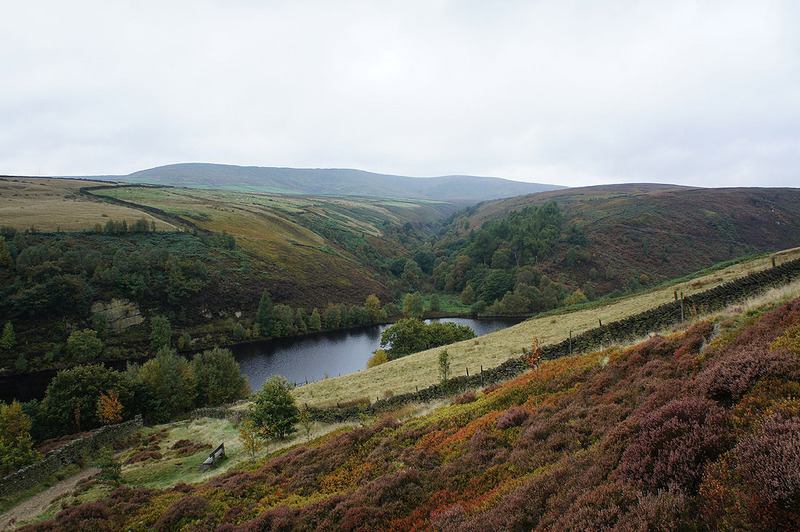 The weather I got today wasn't quite what was forecast, especially the threat of hill fog covering the tops but at least it did brighten up a bit during the afternoon. 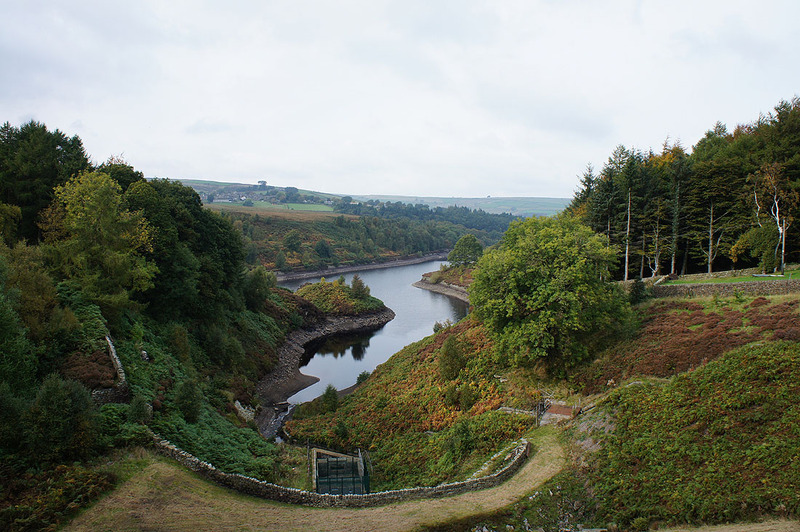 From the car park/ picnic area at Digley reservoir I set off by taking the path westwards above its northern shore to Bilberry Reservoir. 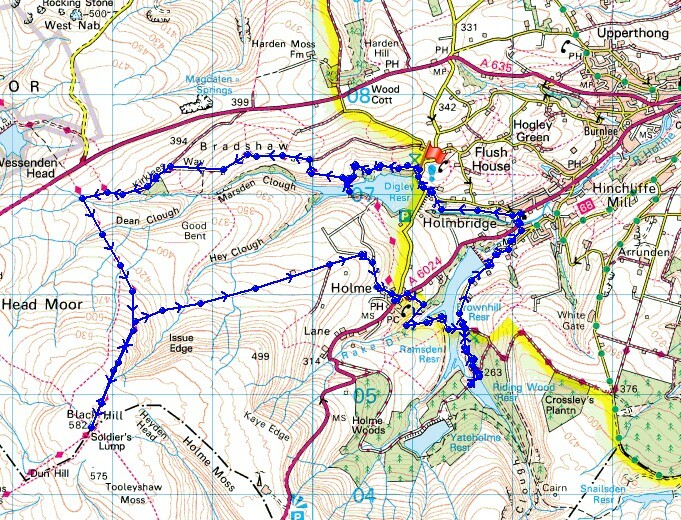 After a quick look at that it was back up to the track to continue westwards along Nether Lane past Goodbent Lodge and onto the Kirklees Way. 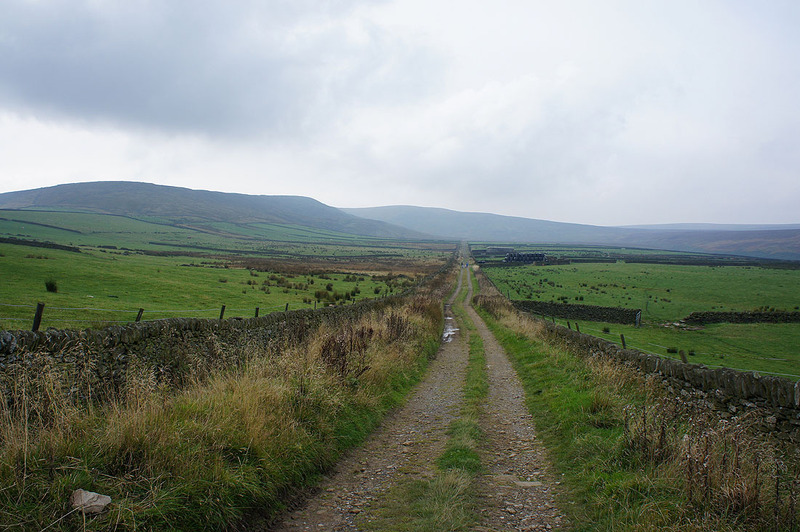 Where the Kirklees Way heads up to the Holmfirth Road there's a short cut across to the Pennine Way. 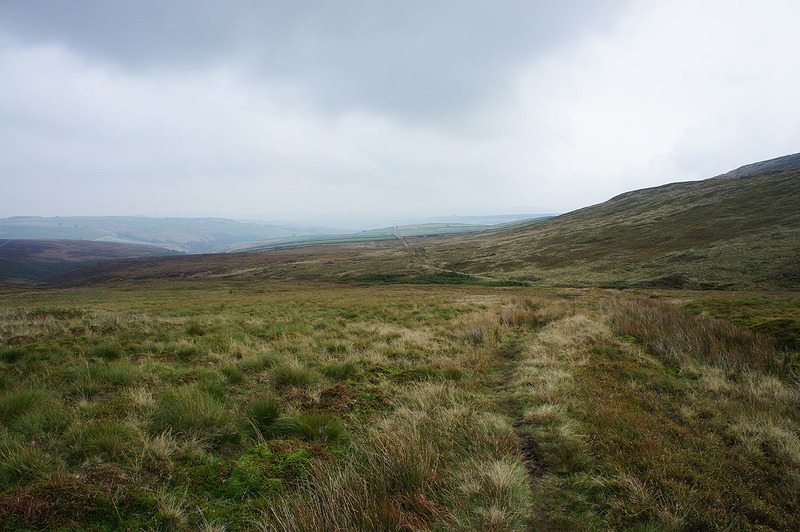 I then followed the Pennine Way up to the summit of Black Hill. 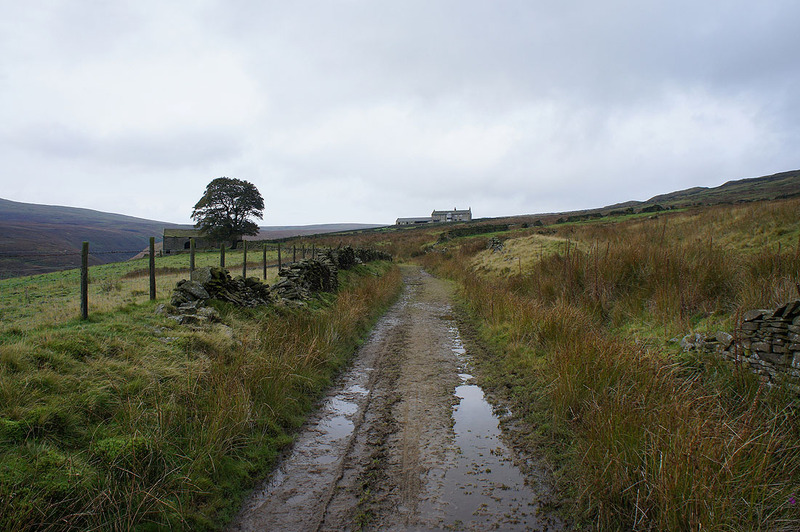 After taking lunch here I made my way back north along the Pennine Way to pick up the path down into and across Issue Clough to reach the track of Issues Road. 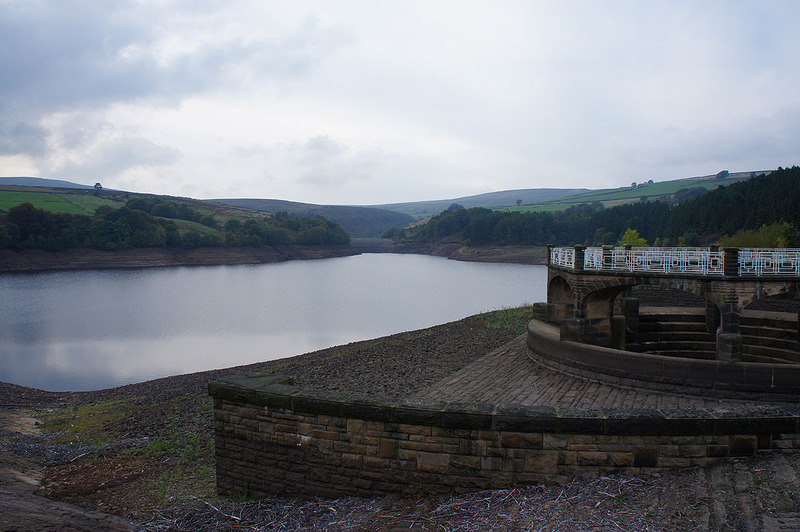 This took me into the village of Holme, where after crossing the Woodhead Road I took the Kirklees Way down to Ramsden Reservoir. 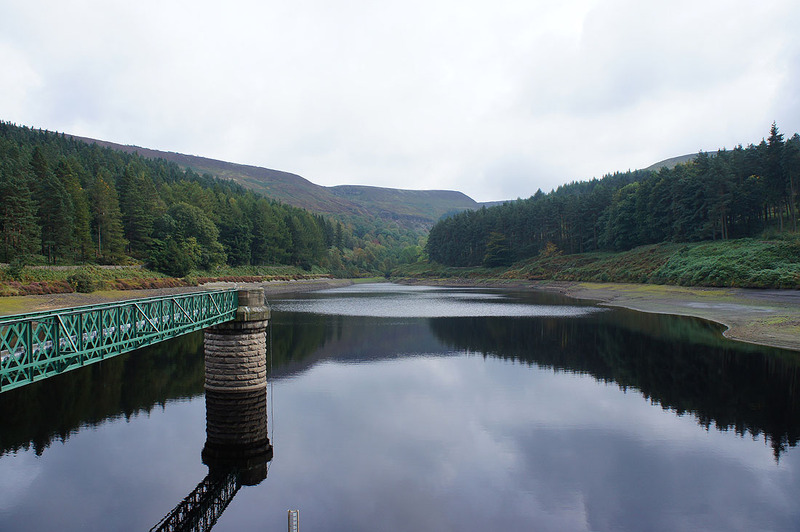 After crossing the dam I followed the road up to Riding Wood Reservoir for a quick look up at the head of Ramsden Clough. 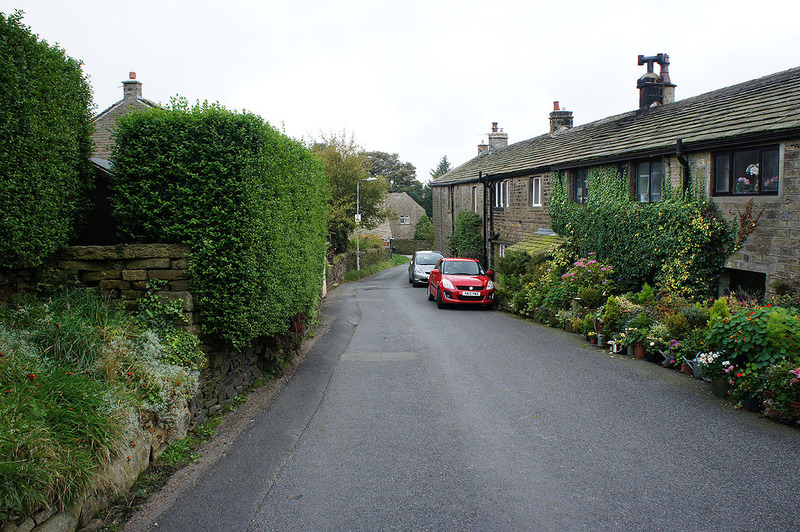 I then made my way back down the road and into the village of Holmbridge. 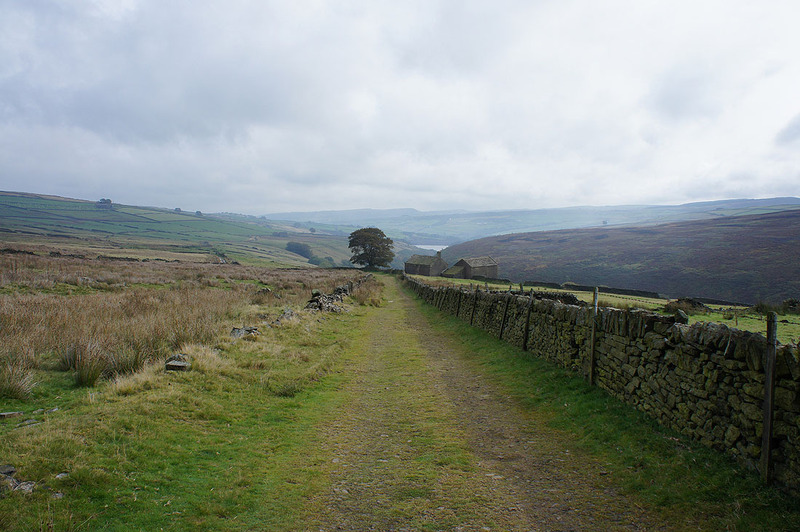 Opposite the church and by the cricket ground was the footpath that took me back to the road at Digley Reservoir and where I was parked. 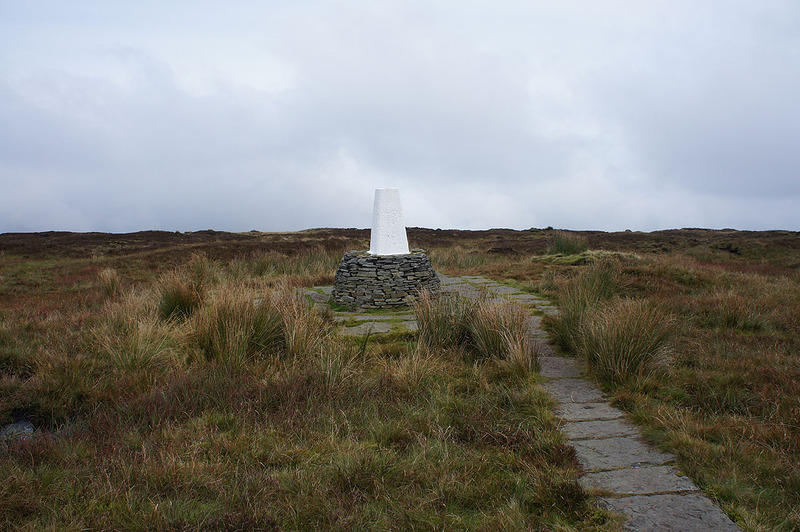 Soldier's Lump, the trig point on the summit of Black Hill. It's my first time up here but I've seen photos of how it used to look. 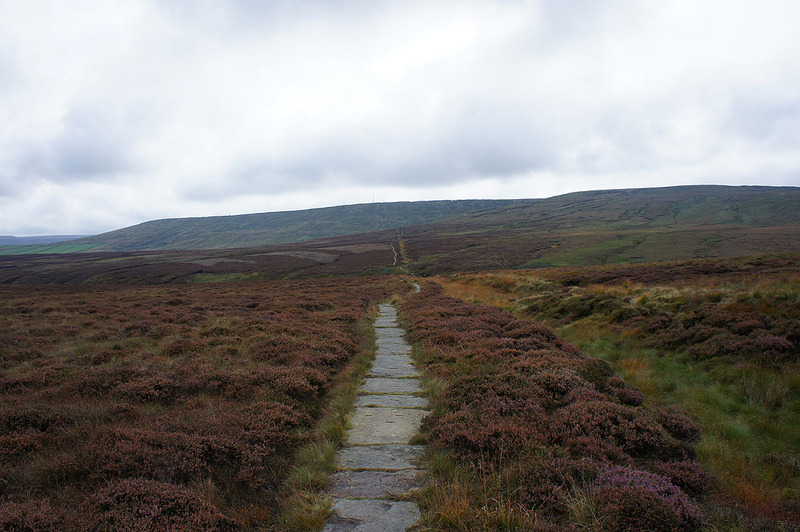 Moorland restoration have done a great job. 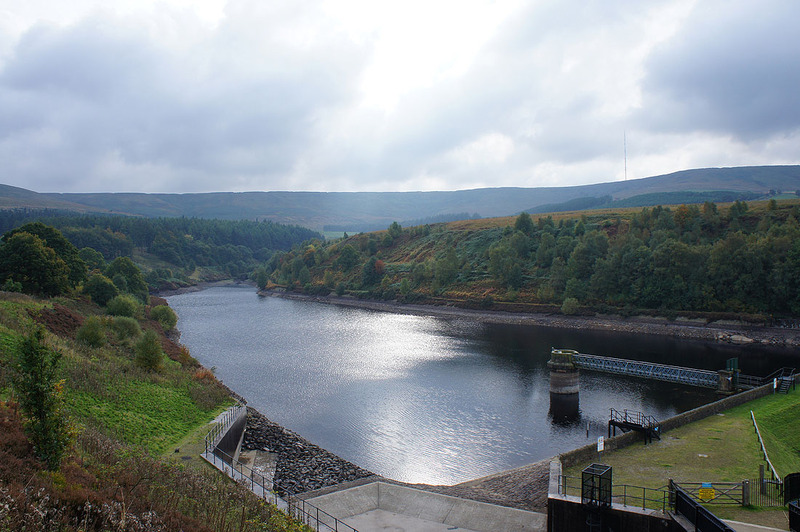 ..including Holme Moss and its transmitter. It was while I was up here that the thought of trying to cross it really didn't appeal to me. 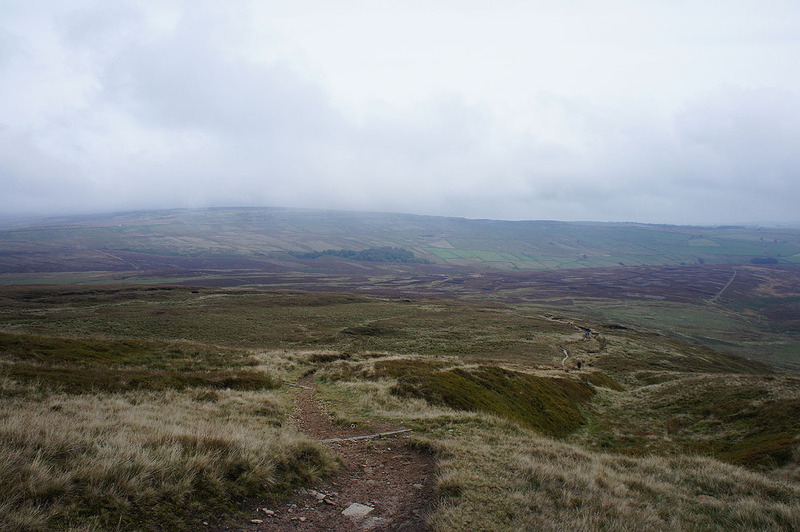 The gloominess and the threat of the cloud covering the tops didn't help. 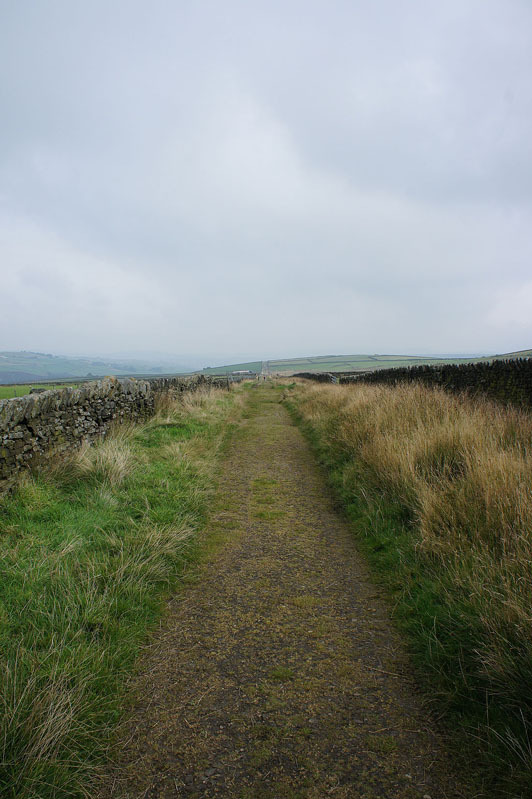 On the way down I left the Pennine Way for a path across Issue Clough to the track of Issues Road. 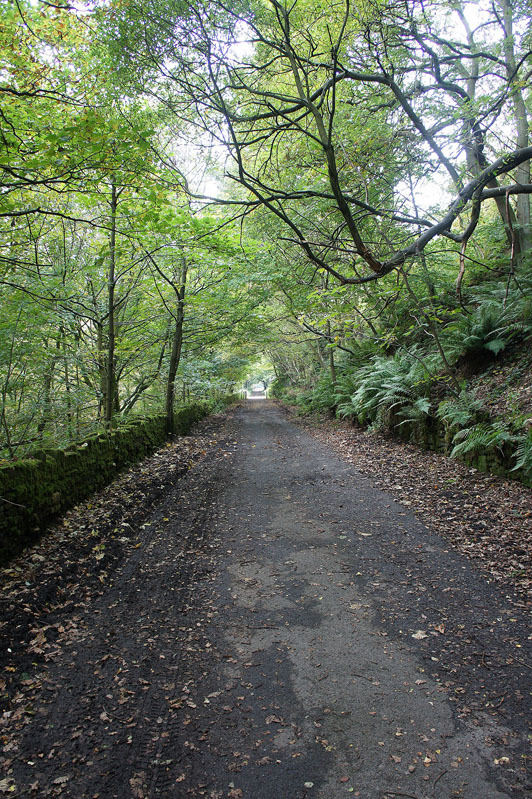 It's signposted that it should be used if the ford across Dean Clough is unuseable because of heavy rain. 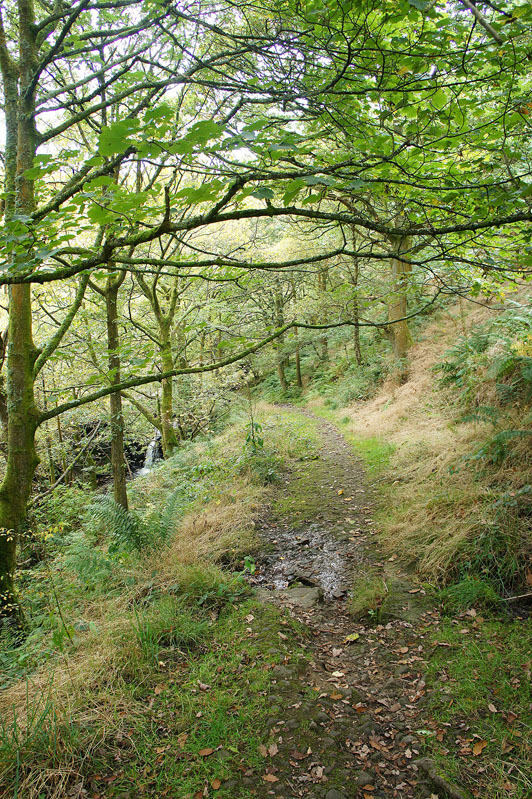 After crossing the main road through Holme I'm on a path through a lovely bit of woodland down to Ramsden Reservoir. There's a nice little waterfall just ahead. 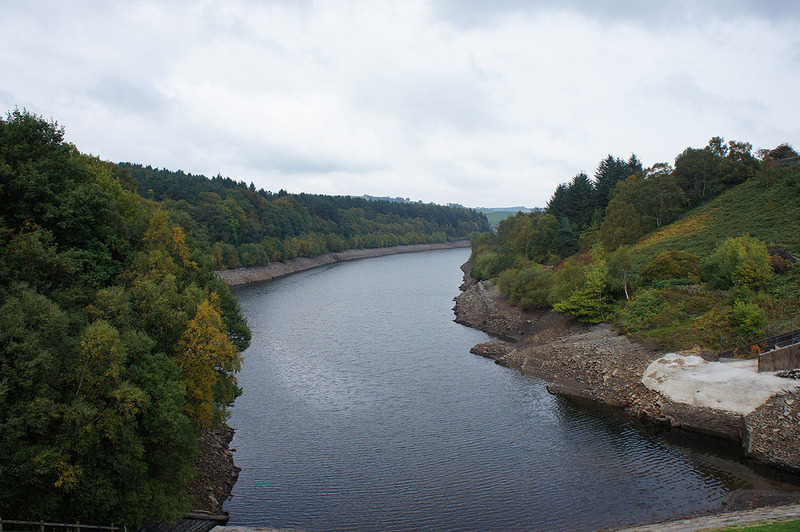 Walking past the heavily indented shoreline of Ramsden Reservoir. 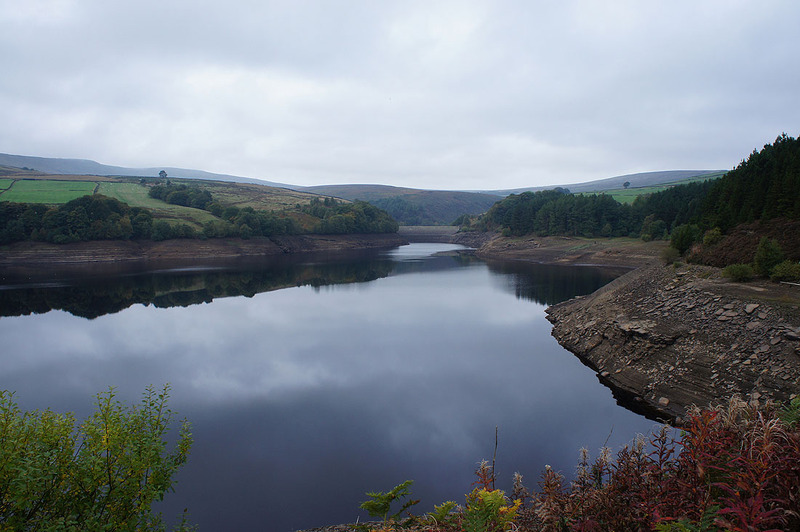 The water levels are quite low after a dry September. 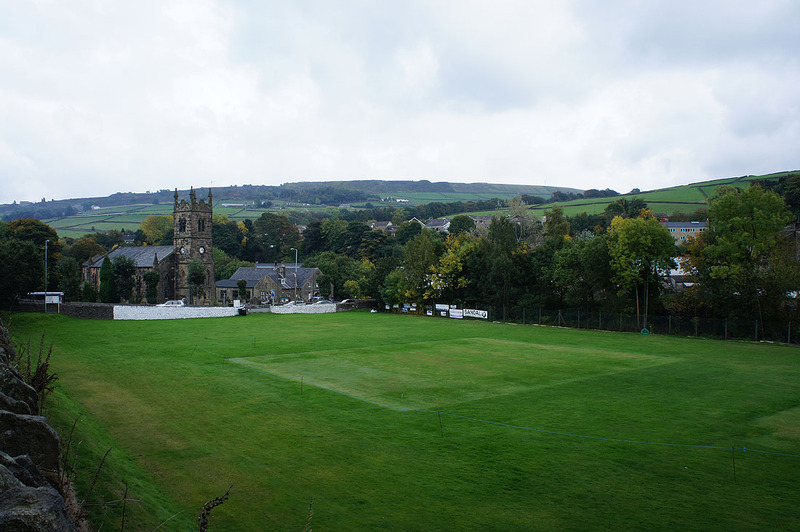 In Holmbridge at the bijou ground of Holmbridge cricket club. I wonder if they lose many balls?